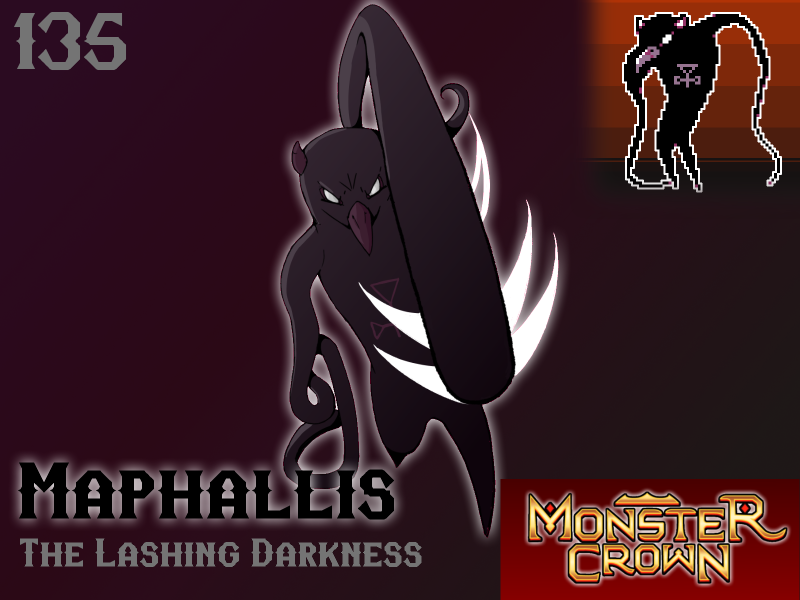 Maphallis lurk deep in unknown regions, living out their days amassing armies of weaker monsters to attack their enemies. They user their massive, tendril-like whips to attack foes, often leaving those that survive an attack almost certainly paralyzed. Maphallis commands its subordinates using a dark form of magic. Entranced, they will band together to construct elaborate nests with Maphallis in the center. While rare, encounters between tamers and Maphallis can quickly turn deadly. The partnership of a powerful monster can do little to defend the human from Maphallis' cunning and unpredictable lashes. Will Maphallis make your team? Seems like this guy's attacks will be pretty annoying for my enemies to deal with. I think he'll make my team.